You can weld Stainless steel, Alloy steel, Mild steel, Copper, Cast Iron and Chrome. 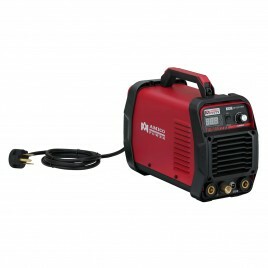 Powerful welder capable of welding up to 3/8" Stainless steel, Alloy steel, Mild steel, Copper, Cast Iron and Chrome. The full-size TIG & Stick platform, outperforming the competition on arc quality, voltage control, duty cycle and value. This is optimized to deliver a flawless weld, making spatter and post-weld cleanup almost non-existent. Dual Voltage Input (110V/230V) means you can plug into any common power supply. TIG torch & cable 13ft, Electrode holder &..
You can weld Stainless steel, Alloy steel, Mild steel, Copper, Cast Iron and Chrome. 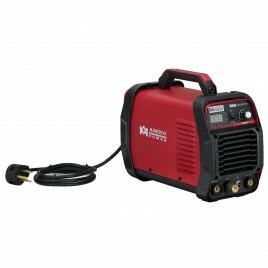 Powerful welder capable of welding up to 1/2" Stainless steel, Alloy steel, Mild steel, Copper, Cast Iron and Chrome. The full-size TIG & Stick platform, outperforming the competition on arc quality, voltage control, duty cycle and value. This is optimized to deliver a flawless weld, making spatter and post-weld cleanup almost non-existent. Dual Voltage Input (230V/110V) means you can plug into any common power supply. 13ft. 300A TIG torch & cable, 10ft. 300A Electrode h..
You can weld Stainless steel, Alloy steel, Mild steel, Copper, Cast Iron and Chrome. 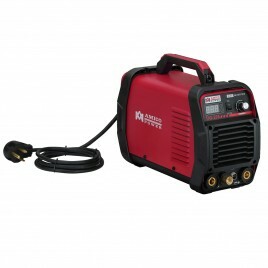 Powerful welder capable of welding up to 3/8" Stainless steel, Alloy steel, Mild steel, Copper, Cast Iron and Chrome. The full-size TIG & Stick platform, outperforming the competition on arc quality, voltage control, duty cycle and value. This is optimized to deliver a flawless weld, making spatter and post-weld cleanup almost non-existent. Dual Voltage Input (110V/230V) means you can plug into any common power supply. TIG torch & cable 13ft, Electrode ho..
You can weld Stainless steel, Alloy steel, Mild steel, Copper, Cast Iron and Chrome. 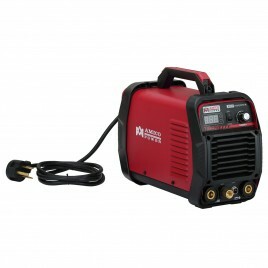 Powerful welder capable of welding up to 5/8" Stainless steel, Alloy steel, Mild steel, Copper, Cast Iron and Chrome. The full-size TIG & Stick platform, outperforming the competition on arc quality, voltage control, duty cycle and value. This is optimized to deliver a flawless weld, making spatter and post-weld cleanup almost non-existent. Dual Voltage Input (230V/110V) means you can plug into any common power supply. 13ft. 300A TIG torch & cable, 10ft. 300A..
Amico TIG-165 can weld weld Steel, Stainless steel, Alloy steel, Mild steel, Nickel alloys, Copper, Brass, Bronze, Cast Iron and Chrome etc. 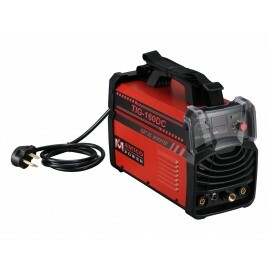 TIG-165 is ideal for high frequency TIG torch with Stick/Arc welder. HF Start-easy arc starting and improvers tungsten life, the HF service guarantees a start-up at 100%, simple to operate, LCD amperage display. Advanced IGBT inverter technology, excellent Arc stability, 15-160 amps very suitable weld thin workpiece. The lightness and strength of its components make this a reliable work tool for professionals or personal..
Amico TIG-185 can weld Steel, Stainless steel, Alloy steel, Mild steel, Nickel alloys, Copper, Brass, Bronze, Cast Iron and Chrome etc. 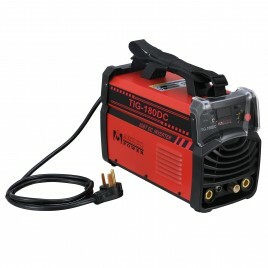 TIG-185 is ideal for high frequency TIG torch with Stick/Arc welder. HF Start-easy arc starting and improvers tungsten life, the HF service guarantees a start-up at 100%, simple to operate, LCD amperage display. Advanced IGBT inverter technology, excellent Arc stability, 15-180 amps very suitable weld thin workpiece. The lightness and strength of its components make this a reliable work tool for professionals or personal use. Automatic compensat..
Amico TIG-205 can weld Steel, Stainless steel, Alloy steel, Mild steel, Nickel alloys, Copper, Brass, Bronze, Cast Iron and Chrome etc. 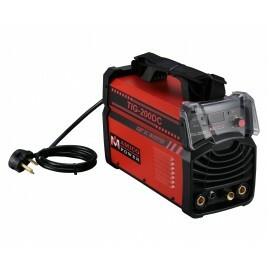 TIG-205 is ideal for high frequency TIG torch with Stick/Arc welder. HF Start-easy arc starting and improvers tungsten life, the HF service guarantees a start-up at 100%, simple to operate, LCD amperage display. Advanced IGBT inverter technology, excellent Arc stability, 15-200 amps very suitable weld thin workpiece and thick workpiece. The lightness and strength of its components make this a reliable work tool for professionals o..
Amico TIG-225 can weld Steel, Stainless steel, Alloy steel, Mild steel, Nickel alloys, Copper, Brass, Bronze, Cast Iron and Chrome etc. 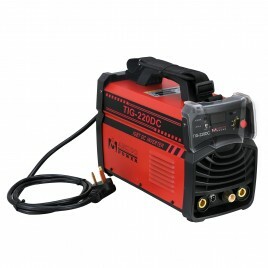 TIG-225 is ideal for high frequency TIG torch with Stick/Arc welder. HF Start-easy arc starting and improvers tungsten life, the HF service guarantees a start-up at 100%, simple to operate, LCD amperage display. Advanced IGBT inverter technology, excellent Arc stability, 15-220 amps very suitable weld thin workpiece and thick workpiece. The lightness and strength of its components make this a reliable work tool for professionals or personal use. ..